Strike with your sword to deal 10 damage. Successful hits charges your weapon and reduces the cooldown of Retribution by 1s. 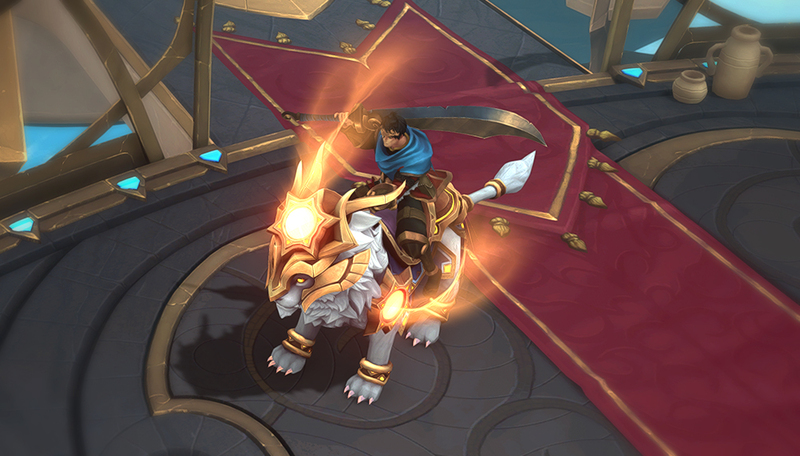 Each charge increases the power of Retribution. Dash forward and strike to deal 8 damage and leech 8 health. Deals 3 bonus damage and leeches 3 bonus health per weapon charge. Leap and strike with your sword to deal 18 damage in front of you upon landing. Deflect up to 5 attacks. Melee attacks trigger a Counterattack and projectiles are redirected towards your aim direction. Sunder the earth with your blade in a forward slash, dealing 10 and launching struck enemy up in the air for 1.4s. Dash forward and palm strike an enemy. Deals 8 damage and knocks the enemy back. Knocking an enemy into a wall inflicts Stun. Infuse your blade with determination, causing your next 2 Sword Slashes to send forth Slicing Winds. Deals 10 damage to enemies and heals you for 14 health. 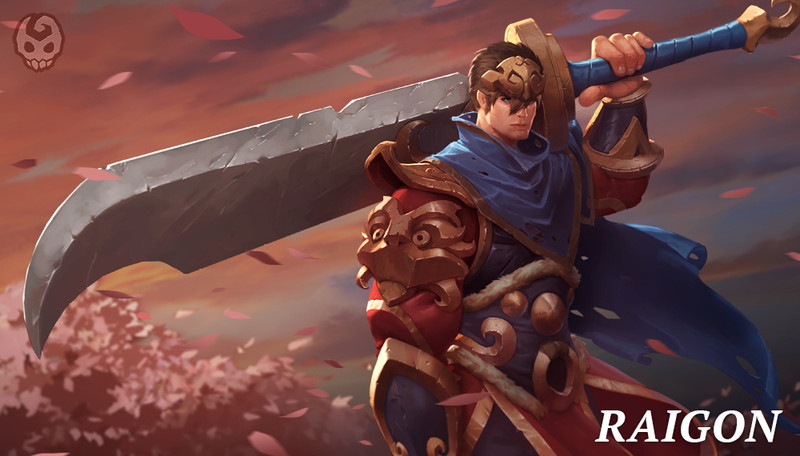 Cleave the earth with your blade in a forward slash, dealing 10 damage and launching struck enemy up in the air for 1s. Inflicts Incapacitate for 2s upon landing. Parry can be recast to perform an area attack that deals 12 damage and inflicts a 0.25s Stun. Your next Sword Slash after landing Heavenly Strike launches a Slicing Wind. Recast Seismic Shock to teleport to the target and striking it in the air dealing 4 damage and increasing air duration by 0.5s. The dash length of Retribution is increased by 30%. Each parried attack grants 1 weapon charge. Increases Heavenly Strike damage by 7. Parry ends with an area heal for 8 health around Raigon. Seismic Shock deals 4 bonus damage and 10 area damage. After hitting an enemy with Dragon Palm, the ability may be recast for 1.5s. Sword Slash hits reduces the cooldown of Parry by 1s. Maximum Energy is increased by 25% and Retribution grants 7% bonus energy. Heavenly Strike inflicts a 1.2s fading snare. Wrath of the Tiger ends with a Heavenly Strike. Every unique target struck heals you once for 10 health. Valentine’s Day avatars are given out to everyone who logs into the game between February 14th and February 21st. All Leagues now consist of 8 divisions, except the new Contender League which has 4 divisions. Javelin now pulls you to the target even if the damage dealt yields a killing blow. 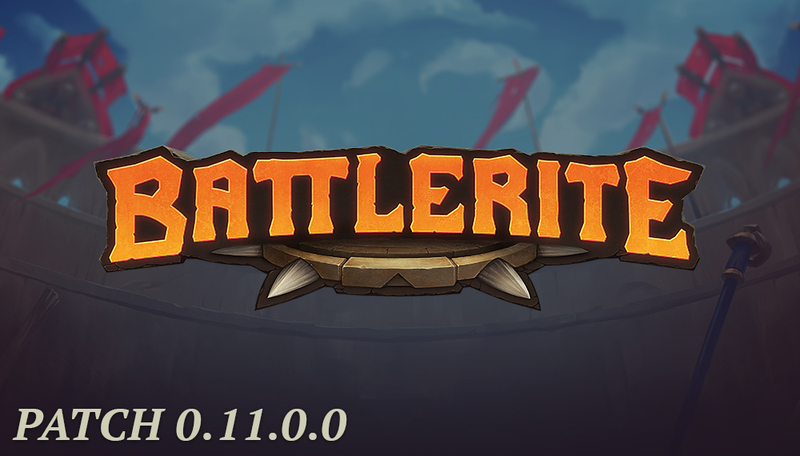 Celestial Cycle Battlerite now shows the proper icon (R).